Workshop Venue: Edifici Mercadal, Plaça Sant Jordi 1, 17001, Girona. 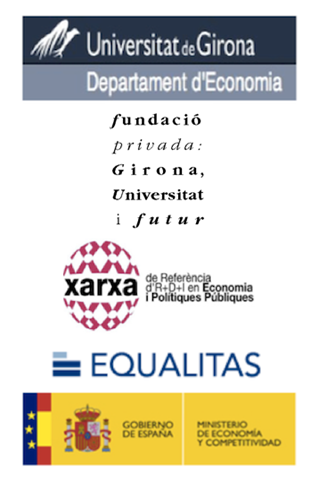 The Economics Department at the Universitat de Girona annually organizes a workshop on Public Policy Design. This year's workshop aims at providing a forum of discussion of current research on income dynamics and intergenerational mobility. The Workshop will start on May 30th at 13:00 and will finish on May 31st at 15:00. This workshop intends to bring together well-established researchers, Ph.D students working on the topic and other interested individuals from different countries.